Hand Knitted Posh Dog Snood – 025. 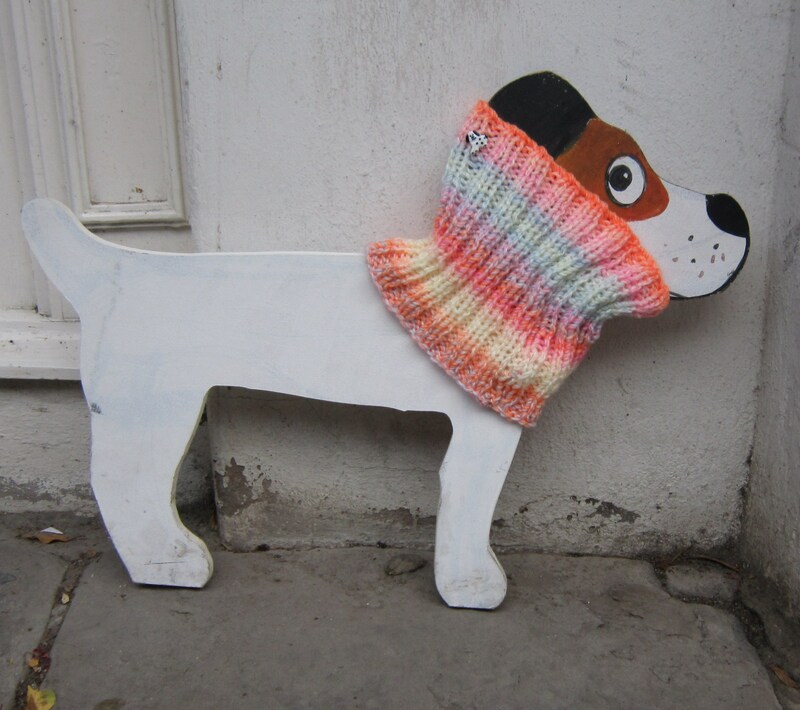 Hand knitted dog neck warmers – round snood in 4 sizes with a hole for the leash. Handmade Posh Dog Lead 0008.